DALBA’s motto is “Beer, which means more." DALBA is a social brewery of high-quality craft beer in Puck, Poland that employs people with intellectual disabilities. It is the first in Poland and sixth in the world of its kind. DALBA Social Cooperative was established out of passion for beer, the need for change, and the love of the sea. The cooperative addresses one of the most serious social problems in Poland: labour exclusion and social marginalization of people with intellectual disabilities; only 10% of them participate in the labor market. Agnieszka Dejna, did not want a life of dependency or institutionalization for her twins or for anyone else. She was not the only one to notice that many people with disabilities remained in this situation. Janusz Golisowicz, an occupational therapist who counseled individuals with disabilities, often heard from them that they wanted to work and provide for themselves. In their experience, however, their parents' desire to protect them was often the greatest challenge keeping them from entering the labour force. Their families held them back out of love and fear that they would get hurt. When Agnieszka and Janusz first founded DALBA, they wanted to prove that people with disabilities could pursue skilled career options. Janusz had worked extensively in occupational therapy and integration of people with disabilities, while Agnieszka’s source of determination was her twins. They knew that people with different abilities could produce goods that consumers would buy not out of charity but because they were of high quality. To date, DALBA’s award-winning craft beers are rated 44th out of 270+ brands in Poland. Its ranking is rising. The production process counts on a group of 27 young men with disabilities, who are also shareholders of the cooperative. Some prepare malts with a recipe and boil it, while others are involved in bottling or labeling. They do so without supervision, having received training from management to work with precision. DALBA looks ahead to increasing production by 300% to meet growing demand. With NESsT’s investment, the enterprise will expand the existing brewery and purchase additional tanks to double revenues and increase employment. As the business grows, the interest from prospective employees and their families has grown with it. By 2021, DALBA expects to create 65 employment opportunities. There is always more beneath the surface. The founders continually recognize their team for their talent and work. A key to encouraging them: diving. 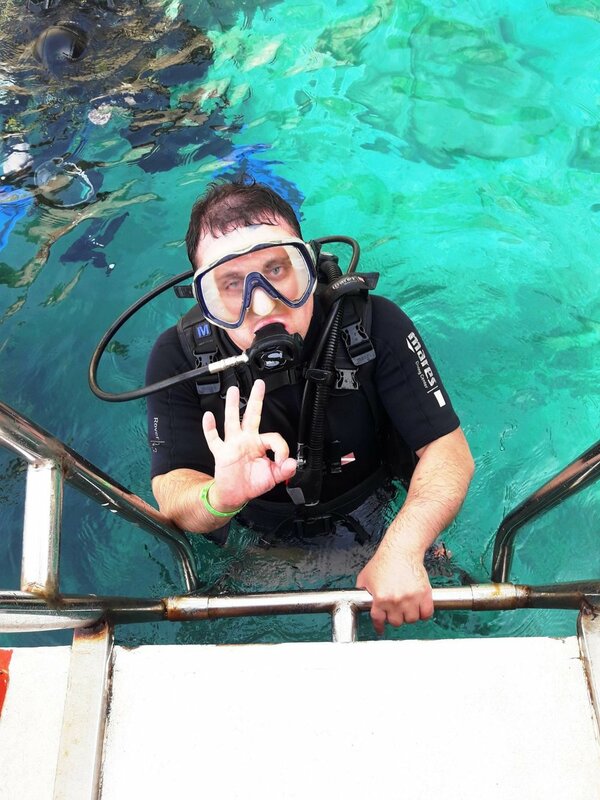 DALBA uses immersion therapy — rehabilitation and therapeutic diving — in its “Understand the Depth” program for its employees. Agnieszka was introduced to diving when her twins felt self-conscious among their peers. She learned that divers with impairments enjoyed the sensations of feeling light, free and in control of motor skills when they are in the water, especially if they were otherwise wheelchair-bound. As divers, they’ve have had new opportunities to explore Poland, Italy, Malta, and Turkey. Learning to communicate under water has improved teamwork during production. The employees now engage in better problem-solving together at the brewery. Efficiency, post immersion therapy, has improved by 30% at work. As a mother, Agnieszka is able to promise parents that she knows what they are feeling. The young men have also grown more confident and self-sufficient through their time at the DALBA. Some have been able to rent apartments. Others used to have anxiety about speaking to others and now speak freely to visitors at the brewery. They have experienced development professionally and in character. In addition to funding, NESsT will be working alongside DALBA providing the management with tailored business mentoring to consolidate the growing business, to leverage co-investments, and to strengthen its impact measurement. We are excited to see what more DALBA can achieve. As always, you are invited to be a part of this movement. A movement where the social enterprise economy changes the standards of the workplace and consumer culture to reflect collective values.